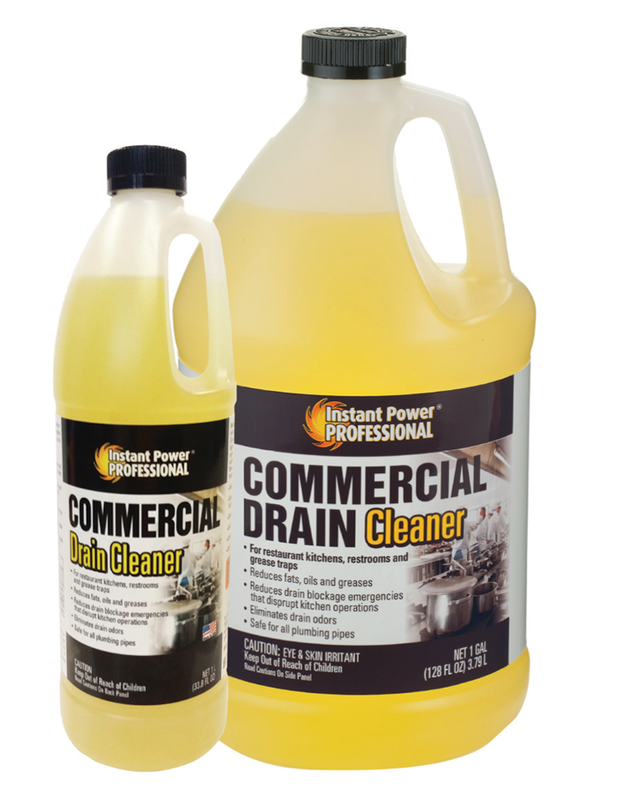 Powerful dual hydroxide formula dissolves hair clogs and creates heat to melt grease. 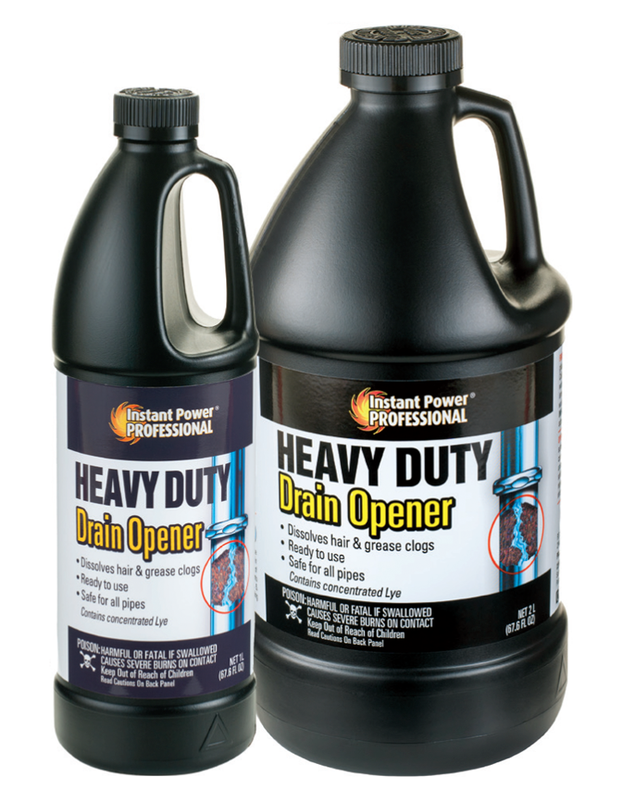 Great alternative to sulfuric acid drain openers. 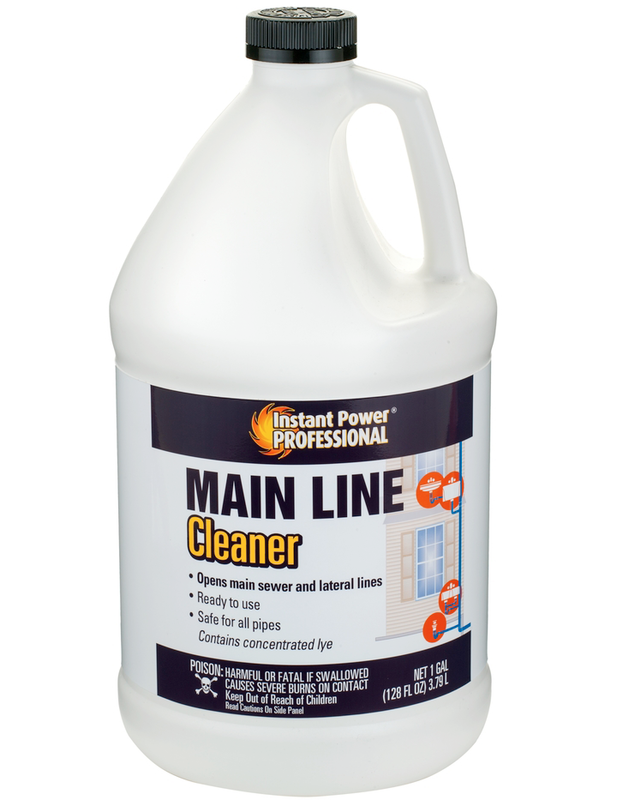 Can be used in businesses, restaurants, hospitals, nursing homes, apartment complexes and homes. 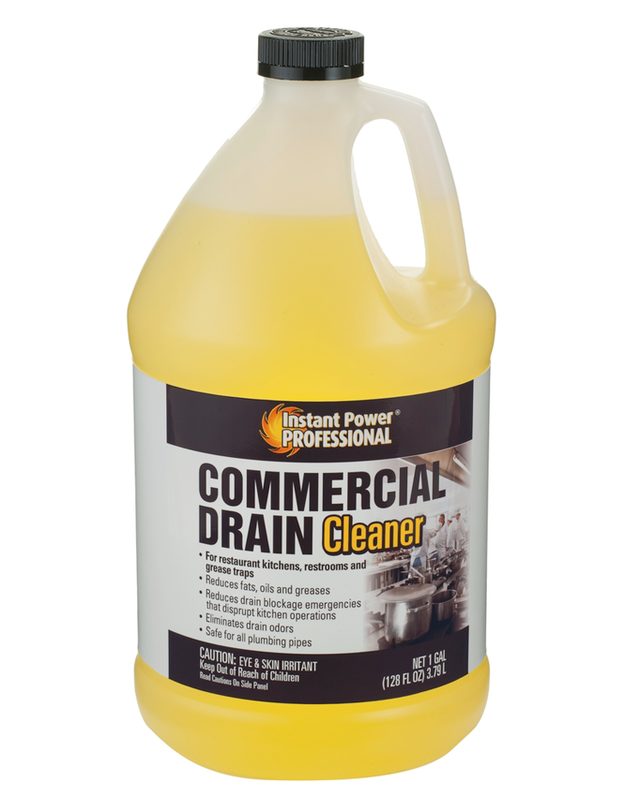 Use in sinks, tubs, showers, and RV’s. 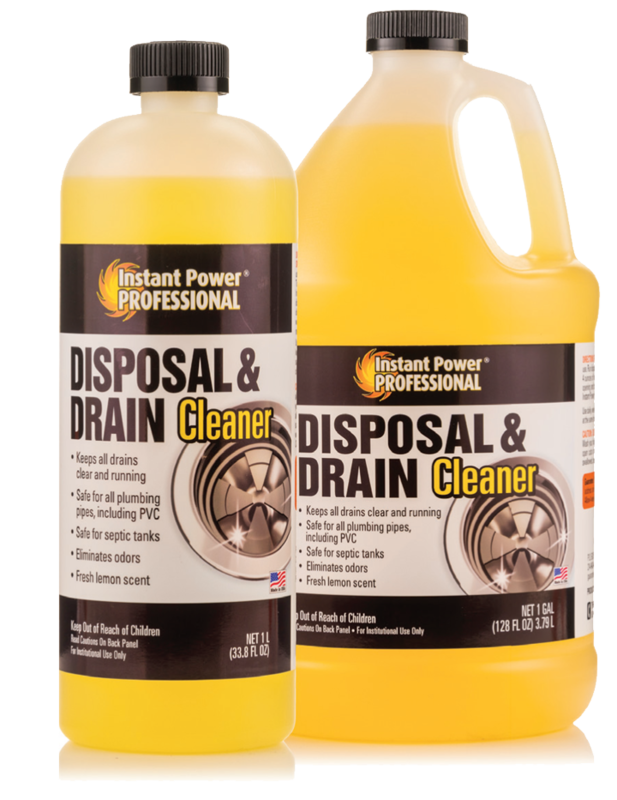 Is the product safe for septic systems? 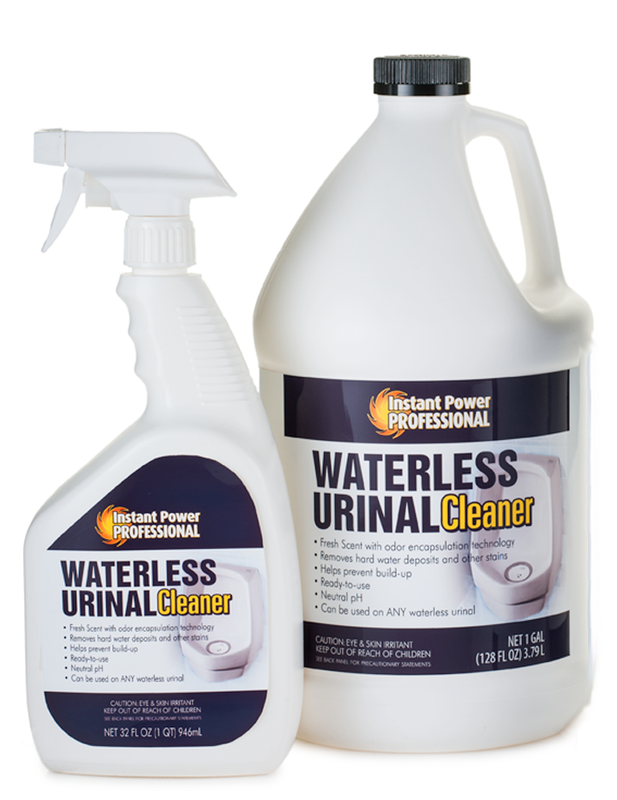 If used as directed it is safe for use with septic systems. Wear safety goggles and long rubber gloves to protect from possible eruption of Lye. Remove standing water. Pour drain opener slowly, directly into drain. Repeat if necessary. 2 cups (1/4 bottle). 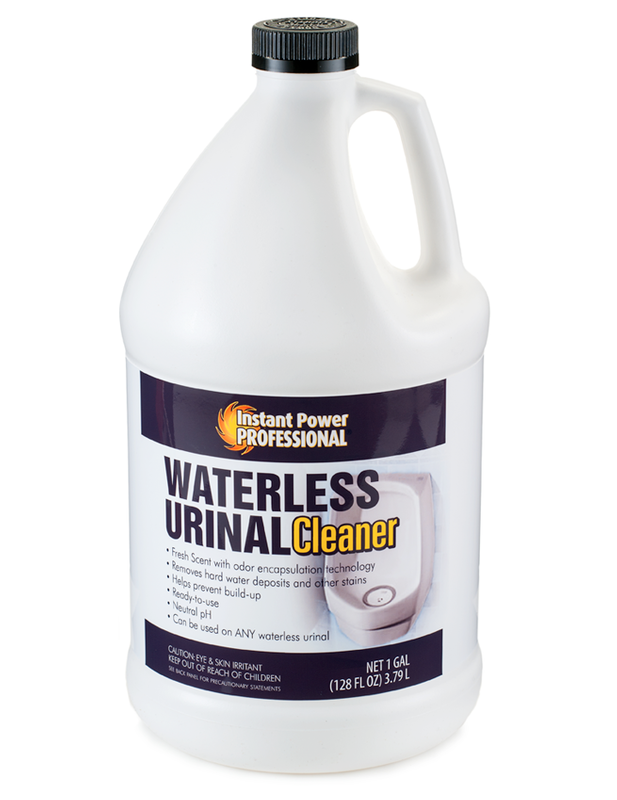 Allow to stand in drain 1 hour (overnight is best), before flushing with hot water. 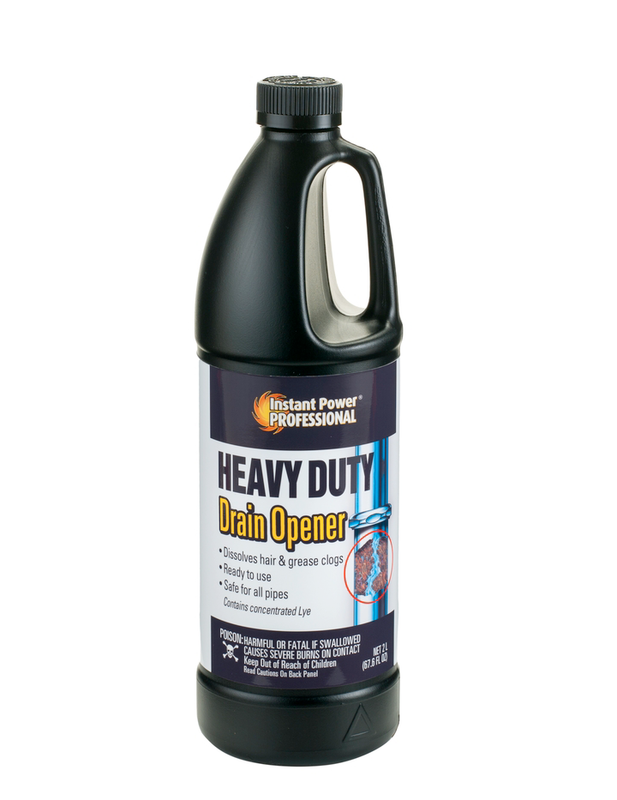 *If clog is further down drain pipe, more Heavy Duty Drain Opener will be needed to reach the clog. 2 Liters (entire bottle). Allow to stand in drain 1 hour (overnight is best), before flushing with hot water. 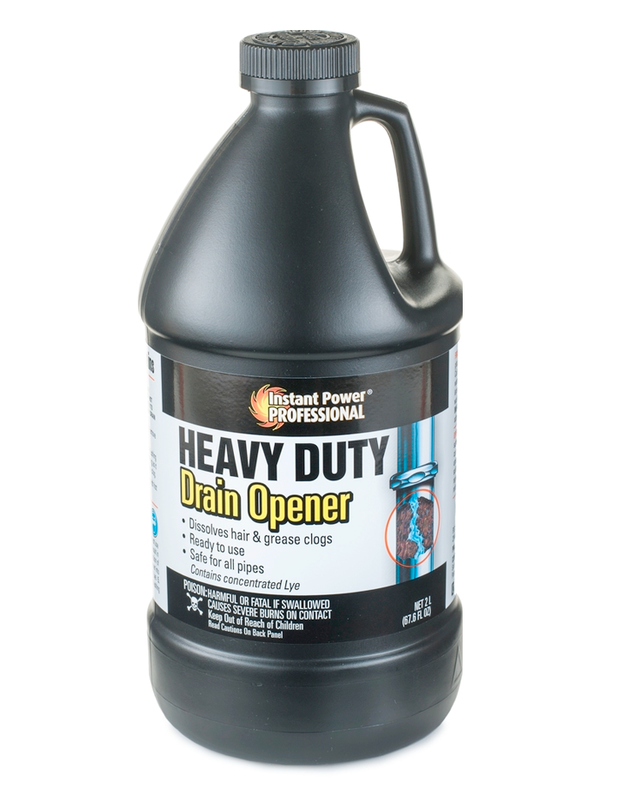 Heavy Duty Drain Opener will continue to dissolve hair & grease deposits as long as it is in the drain.